I know many people are getting tired of the whole origins trend, especially when it comes to comic book heroes. But I have to say, I still can't get enough of it. I'm still intrigued a superhero's backstory, and who this person was before they became, well, super. Hence, this is why I am excited about DRACULA UNTOLD. Almost an entire century after the world's first cinematic introduction to Dracula placed audiences under his haunting spell, the studio that pioneered the genre reawakens one of legend's most captivating figures in an action-adventure that heralds a pulse-pounding rebirth of the age of monsters. 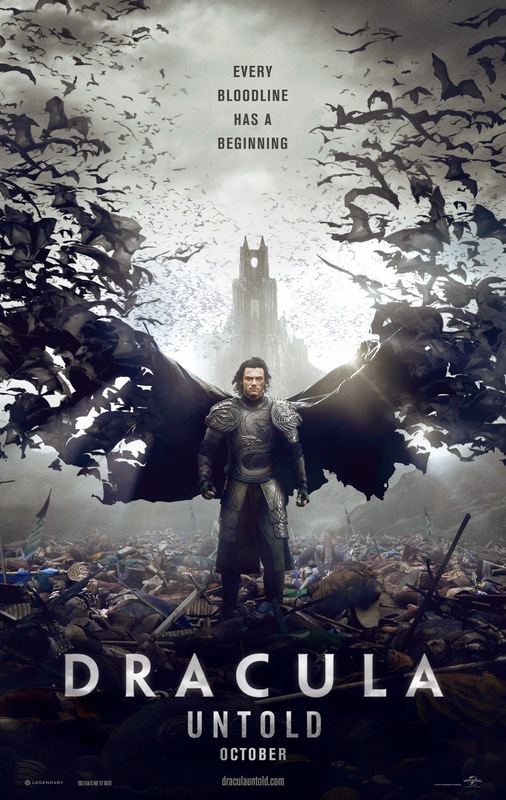 Luke Evans (Fast & Furious 6, The Hobbit series) transforms from the cursed man history knows as Vlad the Impaler to an all-powerful creature of the night in Universal Pictures' Dracula Untold, the origin story of the alluring immortal we have come to fear as the sun sets: Dracula. Thoughts? DRACULA UNTOLD hits theaters October 10th. I was pretty sure this was going to be one of those disposable movies but I'm actually looking forward to it as well, trailers have sold me.